A protest and vigil was held outside the Supreme Court to advocate for change to U.S. policy in Central America. Over the past seven years rain has been irregular in the Maya Chortí area of Guatemala. Climate change coupled with violence motivates some Guatemalans to leave their homes for the United States. 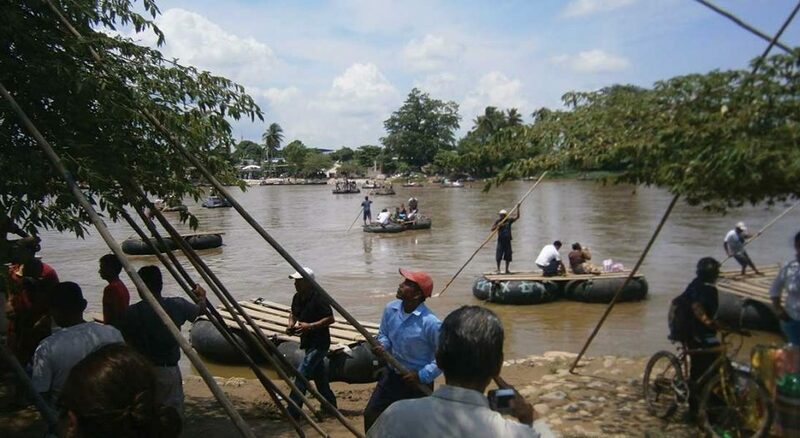 Families in search of a better life cross Guatemala’s border by boat. Anjelina Nadai Lohalith, a refugee from South Sudan, runs the 1,500-meter track race during the 2016 Rio Olympics. The Kakuma Refugee Camp receives support from ELCA World Hunger and the Lutheran World Federation in caring for refugees. Two women walk in the Zaatari refugee camp near Mafraq, Jordan. Opened in July 2012, the camp holds upward of 20,000 refugees from the civil war inside Syria. Two children in the Zaatari refugee camp, located near Mafraq, Jordan. International Orthodox Christian Charities and other members of the ACT Alliance (of which the ELCA is a member) are active in the camp providing essential items and services. Imagine that nothing about your home-town is the same as when you were a child. No longer is there an abundance of food in grocery stores or clean water accessible by a flick of the wrist. The rain has stopped coming so food doesn’t grow. The government doesn’t provide any help—it uses violence as a form of control. Gunshots and bomb blasts are so common that no one walks in the evenings or spends time enjoying parks or coffee shops. It sounds like the plot of a post-apocalyptic movie, but for many this description resembles reality. One in 113 people worldwide have fled their hometowns in hopes of a better life. The World Economic Forum has named “global migration” as the issue of the year for 2016. It’s an issue that hasn’t gone unnoticed by the Lutheran church. There are 9 million people displaced from civil war in Syria, some internally and others spread from Jordan to Europe to North America; 1 million people have fled South Sudan’s civil war for Ethiopia and Kenya; 1 million have been apprehended in the last three years on the U.S. Southwest border, and countless others are legally requesting asylum to Mexico and the U.S. to escape gangs in Honduras, El Salvador and Guatemala. It’s estimated that 33,972 people per day are forced to flee their homes because of conflict. That’s roughly equivalent to a Chicago suburb disappearing each day. Then, after nine months, all of Wisconsin starts to disappear too. These numbers only account for people who have claimed refugee status in another country, not the remaining 44 million who are internally displaced within their own countries. 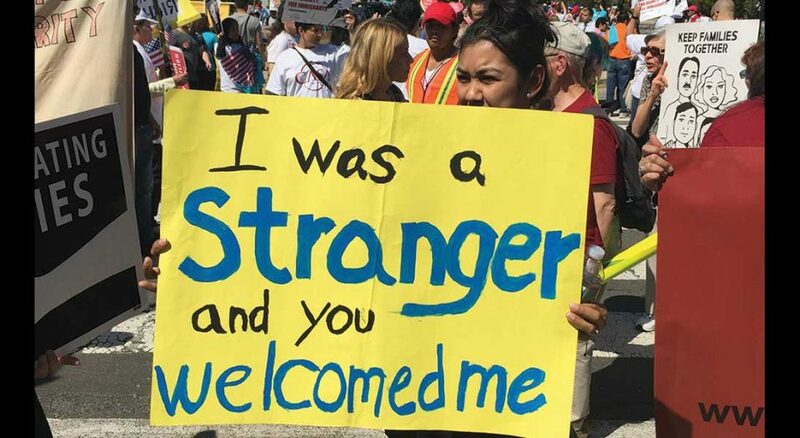 of migrant and refugee services, welcoming the stranger. Rigoberto (last name withheld) seems far older than his 22 years, looking worn in his clothing and appearance. He is a native of San Pedro Sula, a town the size of Detroit in northwestern Honduras with the second highest murder rate in the world. This is Rigoberto’s fourth time trying to cross into the U.S. He made it once before and ate at an all-you-can-eat buffet in Las Vegas. Schaefer and other students from the Lutheran Theological Seminary at Gettysburg (Pa.) traveled to Honduras and Guatemala to better understand the conditions driving so many to leave their communities. “We were grossly ignorant about how much of an impact climate change has had,” he said. “We hear a lot about the violence that happens because that trickles through our media. But I didn’t get a sense of where that violence and desperation came from. The Guatemala Lutheran Church is working to address this issue with alternative programs that equip women with new ways to support themselves and their families. Yet there is much work to do. Lorena and Rigoberto are two of many young people in Central America looking for hope. According to LIRS, 68,000 children were taken into custody coming into the U.S. in 2014. U.S. Customs and Border Protection shows similar numbers for this year, already apprehending nearly 32,000 unaccompanied minors as of the end of July. That’s up from 19,418 in 2009. 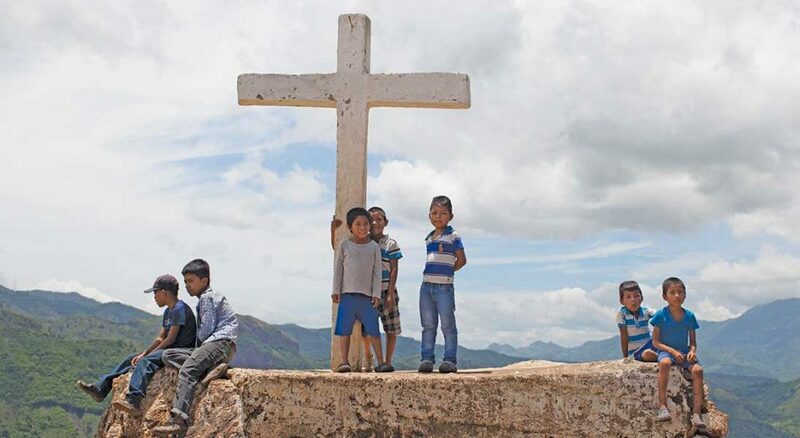 More than 75 percent of those children are from El Salvador, Guatemala and Honduras where rates of violence exceed that in recognized war zones. AMMPARO was approved nearly unanimously in August at the 2016 Churchwide Assembly. Through grants to synods and social ministry organizations, AMMPARO provides legal assistance, community outreach and family reunification to migrants who are in the U.S. To address the dangers in Central America, the strategy financially supports safe houses for those in transit and training programs to provide youth an avenue to life outside of the gangs. AMMPARO also provides ways for ELCA members to get involved in grassroots advocacy to address this problem on a policy level. Educational information on how to contact Congress in support of bills that protect Central American children is available at elca.org/ammparo. Alaide Vilchis Ibarra, assistant director for migration policy and advocacy for the ELCA, dedicates her daily work to migration issues, with a special focus on the AMMPARO strategy. South Sudanese refugees took center stage at the Rio Olympics this summer when they made up half of the inaugural Refugee Olympic Team. 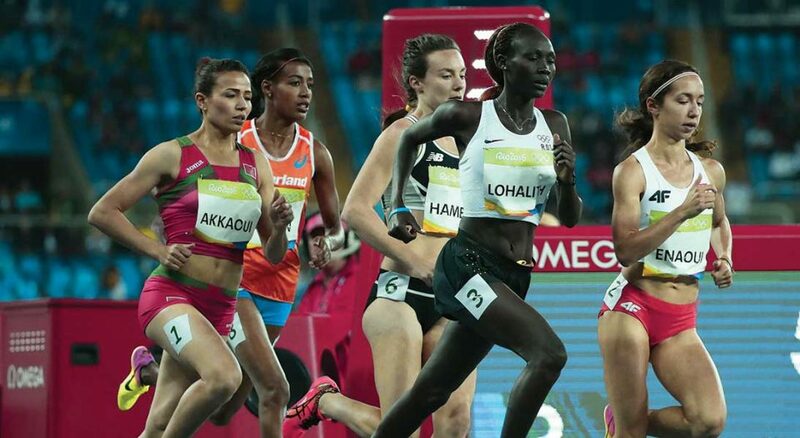 Anjelina Nadai Lohalith, who ran the 1,500-meter track race in Rio, grew up in Kakuma, a refugee camp in northwest Kenya that houses 200,000 South Sudanese. The U.N.-sponsored camp receives funding from the LWF, Lutheran Disaster Response and ELCA World Hunger. The 21-year-old hasn’t seen her parents since she arrived at Kakuma when she was 6. Kakuma is a dusty terrain of tents and mud brick huts and expands across an area the size of Little Rock, Ark. Kanere, a news magazine produced by refugees within the camp, calls Kakuma “equally prison and exile.” Once admitted, refugees don’t have the freedom to leave its boundaries to look for jobs or education or to grow their own food in more fertile areas of Kenya. Kakuma residents watched their camp mates compete in the Olympics via a satellite feed brought in by several nongovernmental organizations, which set up a movie screen and projection equipment that wouldn’t be knocked down by the frequent dust storms. After gaining independence from Egypt and Britain in 1956, Sudan and later South Sudan have been in near constant civil conflict. The LWF opened an office in Kenya to support the Sudanese toward the end of the country’s first civil war in 1972. 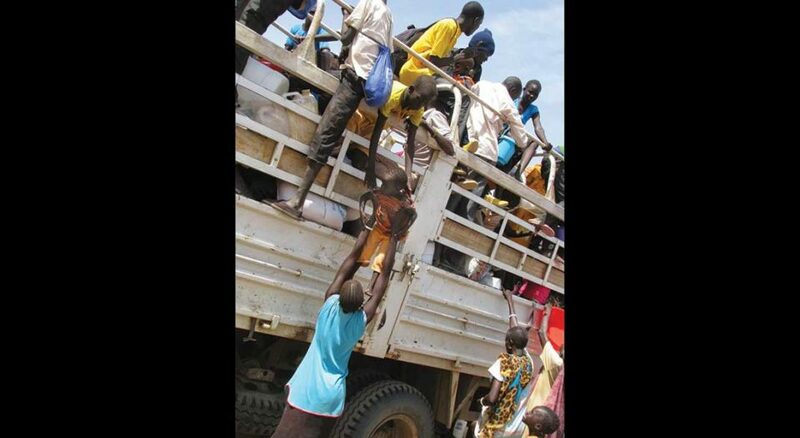 The use of resources for war has crippled South Sudan’s ability to build infrastructure. According to Oxfam, South Sudan has only 125 miles of paved roads and few areas have access to clean water, causing diseases like cholera to spread quickly when it appears in small villages. The constant violence shuts down all major banks, which in turn shuts down businesses and international aid efforts within the country. To find help, residents stream into nearby Ethiopia and Kenya. Kakuma was created in 1991 during the Second Sudanese Civil War. That’s the year the South Sudanese “Lost Boys” arrived in Kenya. From 1987 to 2001, 24,000 boys fled South Sudan for refugee camps in Kenya and Ethiopia to escape the Sudanese People’s Liberation Army and other rebel groups who were trying to induct boys as child soldiers. “Kakuma is a very young camp. It has always been since the beginning because it was first populated by boys who were running away from militias,” said Lennart Hernander, LWF’s country representative in Kenya. Because of this, LWF’s main focus is education and the protection of the camp’s many children. About 100,000 refugee children attend schools across Kakuma, Dadaab and Djibouti managed by the LWF. Three of the Lost Boys who benefited from LWF schools went on to attend Lutheran seminaries in the U.S. and are now pastors. Wal Reat has returned to Gambela, a camp in Ethiopia, as a missionary accompanying fellow refugees, and Mawien Ariik is a missionary in Juba, South Sudan. Del Akech Del started a congregation at Tree of Life Lutheran in Harrisburg, Pa., for Sudanese Christians who resettled there. Images from the Syrian refugee crisis have gone viral: Aylan Kurdi, the 3-year-old Syrian boy who drowned in the Aegean Sea as his family tried to seek safety in Greece, and Omran Daqneesh, the 5-year-old boy who sat emotionless, bloodied and covered in dust, awaiting help inside an ambulance. More than 628,000 Syrian refugees have headed south to Jordan. These numbers are roughly equivalent to the population of Las Vegas. 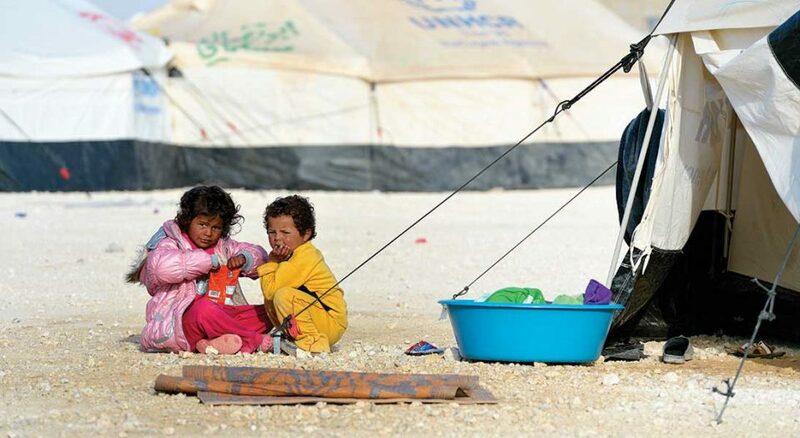 Around 90,000 Syrians live within the confines of the Zaatari refugee camp in Jordan, just south of the Syrian border. In 2014, two years into the Syrian war, the tensions between Jordanians and Syrians became so high that the LWF began sponsoring communication workshops within the camp. In addition to the psychosocial support that the LWF sponsors in Jordan, it also offers education, cash assistance and useful items like stoves, heaters and school bags to supplement the daily living supplies provided by the U.N World Food Programme and the U.N. High Commissioner for Refugees. In 2015, 314,000 Syrians traveled across Turkey and then the Aegean Sea to enter the European Union (EU) through Greece. That’s equivalent to the entire population of St. Louis moving to Miami, approximately 1,150 miles. Most Syrians continued on to other countries in the EU, many passing through Hungary. Most have moved on but some 1,400 remain. Hungary has long been a transport hub for refugees. Romanians in the 1980s and Bosnians in the 1990s sought protection from war in Hungary. But this latest round of refugees from Syria has been received differently. “They weren’t met with welcoming, but hostility,” said Tamás Fabiny, bishop of the Evangelical Lutheran Church in Hungary. “These refugees are seen as different because their skin color is darker and they are mostly Muslim. Fabiny has led the church to focus on three ways to be engaged with the refugee crisis in his country: advocacy, welcoming people at the border, and sensitivity programs in congregations and schools. When he visited the Serbian-Hungarian border and saw people camped out in tents, he noted that there were no bathrooms. This was the first advocacy issue he tackled. “I called the interior minister, and the next day there were 100 toilets,” he said. The church has also provided railway helpers and hot meals for travelers, escorted unaccompanied minors, supplied medicine and diapers to children along with the Hungarian Association of Pediatrics, and brought toys, sports equipment and board games to the refugee camps along the border. Additionally, the Evangelical Lutheran Church in Hungary has reached across its borders and supported a Serbian group called the Asylum Protection Center, which provides free legal advice to refugees. Through Lutheran Disaster Response, the ELCA also provided support, giving $5,000 to the center last fall. Funds were allocated to support the distribution of food, water, diapers, blankets and other essentials. With more than 62 million people uprooted from their homes by violence and poverty, the world has not seen so many refugees since World War II. This gives people of goodwill a massive challenge to work for the peace, security and well-being of all of God’s children.